When I was growing up, my sister was in Girl Scouts and my mom was a den mother. So I got brought along to a lot of those functions. I never did get into Boy Scouts, though. However, I don't know if they had a "Game Design Badge" like they apparently have now. 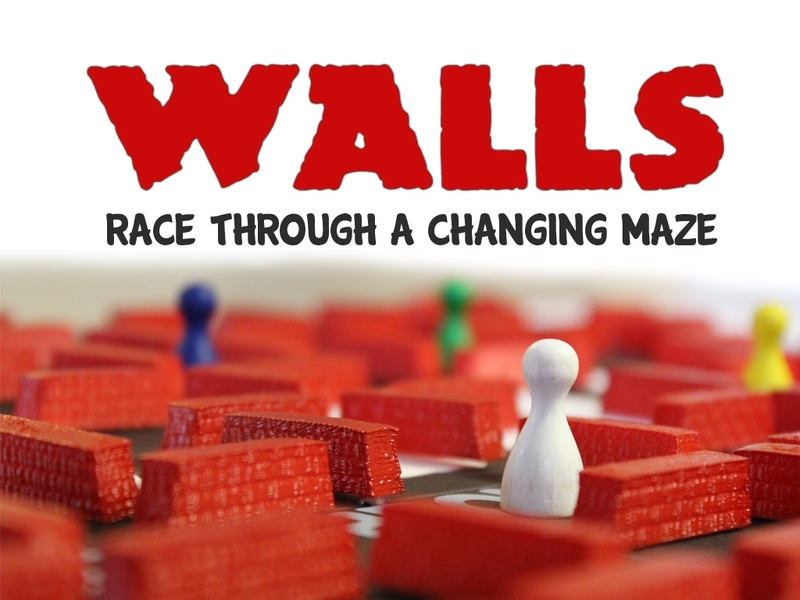 Well, one troop's project is now on Kickstarter as Walls, a new board game. In the game, players are simply looking to get to the other side of the board. However, as you play, the board is constantly changing. The maze is forever-changing, so a route that was open a minute ago may not be the best way anymore. You'll have to keep your wits around you and constantly trying to stop your opponents in their tracks. The game is 4/5 funded with still 10 days left to go.